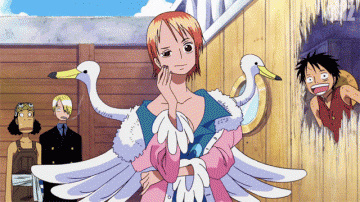 Nojiko is Nami's level headed sister. She is highly supportive of Nami, her adoptive sister, and generous to Genzo, who she and Nami had seen as a father figure. Unlike her sister, she seemed to keep herself out of trouble, although she apparently had a habit of upsetting boys. As she grew older she also became partly responsible for the well being of others on the island. 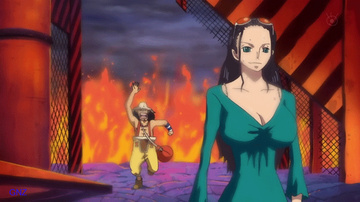 During the years of Arlong's rule, she would try to prevent others from raising up against Arlong while Nami worked hard towards honoring her deal with him. 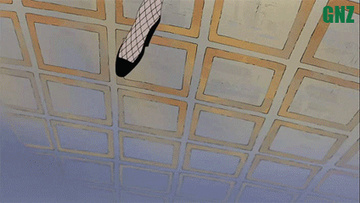 Nojiko does not like people who would throw away their life recklessly. Nojiko also has a belief that if you no longer have the will to live and wish to die, so long as you try hard enough, whether adult or child, it will not matter.